So says Nick Barisheff, President and CEO of Bullion Management Group Inc.(www.bmgbullion.com), a bullion investment company that provides investors with a cost-effective, convenient way to purchase and store physical bullion. Lorimer Wilson, editor of www.munKNEE.com (Your Key to Making Money!) and www.FinancialArticleSummariesToday.com (A site for sore eyes and inquisitive minds), has edited the article below for length and clarity – see Editor’s Note at the bottom of the page. This paragraph must be included in any article re-posting to avoid copyright infringement. [Nevertheless,] there does appear to be cause for concern regarding the transparency of bullion products. Financial services giant Morgan Stanley paid out $4.4 million in June 2007 to settle a class action lawsuit brought by clients after the firm charged them to “buy and store” precious metals, but did neither . Exchange-traded funds (ETFs), generally viewed as a low-cost panacea that replaces almost any investment strategy, including the purchase of gold bullion, are giving investors a false sense of security. ETFs started as equity index vehicles in which brokers, acting as Authorized Participants, borrowed shares from institutions, hedge funds, mutual funds or their clients’ margin accounts to contribute to the Origination Basket of shares. They received ETF shares at Net Asset Value (NAV) in exchange, and sold them to investors at NAV – keeping all of the money. This is standard practice, as brokers have always been able to borrow shares from clients’ margin accounts for the purpose of shorting or for lending to other brokers. An ETF structure will work during normal market conditions. However, it may result in losses and disputes if the Authorized Participants, acting as market makers, become insolvent or step aside during a precipitous decline. If a bank or brokerage firm becomes an insolvent Authorized Participant, either the lender of the assets or the ETF shareholders will suffer losses. During a market crash, existing holders may be unable to sell their ETF shares. Although this possibility was considered remote when ETFs were created, the recent and recurring failures of banks and brokerage firms make these concerns far more real . When we at Bullion Management Group sit down with clients seeking to own bullion, we present them with our Precious Metals Pyramid Chart [see below]. Moving up the pyramid increases risk; moving down the pyramid increases safety. A portfolio’s foundation should consist of physical bullion owned outright. Farther up the pyramid are proxies of bullion in one form or another that are more risky and often less liquid; in other words, the opposite of a safe haven asset you can count on in times of financial stress. it should not be someone else’s promise of performance. Many people think that storing their bullion at home is a good way to economize on physical bullion storage fees, but be aware that any sizeable amount of home-stored bullion will not be covered by a household insurance policy. Unless absolute secrecy is maintained, home storage means putting yourself and your family at risk of a home invasion. There has been an increase of home invasions in England during Asian wedding season, when gold gifts are stored in homes, and street gangs and professional thieves are only too happy to relieve people of their precious metals . Even in peace-loving Canada, a British Columbia man lost his life savings of $750,000 in silver bars to knife-and-gun wielding thugs who arrived at his door disguised as police officers. When he let them in, the ‘officers’ forced him to open his vault and stole the silver . For any sizeable amount of bullion, home storage is clearly not worth the risk. a British case where authorities raided three private safe deposit box centres, and opened 6,717 private boxes . The owners of the boxes were required to provide proof of the contents of their box before their possessions were returned. Most could not do so, and much of the cash involved went missing while other items are in dispute. The ensuing litigation will likely last for decades; in the meantime, those who stored bullion in their boxes have been relieved of their metal, and may only receive compensation in the amount of the value of the bullion at the time of the raid. …[the fact] that safe deposit box contents cannot be insured, and there is no proof that anything is actually in the box. Investors who are still interested in private vaults or safe deposit box centres should perform due diligence on the financial condition of the operator and the owner of the vault, since stored assets may be at risk in the case of a private vault’s insolvency. insist on Good Delivery bars. Toronto-based Bullion Management Group Inc. is a fast-growing precious metals bullion management company, with CDN$558 million of bullion holdings under management. The company is an Associate Member of The London Bullion Market Association (LBMA). BMG also manages two mutual funds. BMG BullionFund is the world’s first open-end mutual fund trust that purchases equal dollar amounts of unencumbered gold, silver and platinum bullion, and also qualifies for all Canadian registered plans. BMG Gold BullionFund is designed for those who want to obtain the benefits associated with holding physical gold in bullion form. BMG has a global team of 62 dealers in 14 nations. This is not a typical bull market. 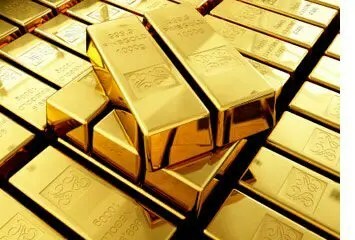 Gold is not rising in value, but instead, currencies are losing purchasing power against gold and, therefore, gold can rise as high as currencies can fall. Since currencies are falling because of increasing debt, gold can rise as high as government debt can grow. Based on official estimates, America’s debt is projected to reach $23 trillion in 2015 and, if its correlation with the price of gold remains the same, the indicated gold price would be $2,600 per ounce. However, if history is any example, it’s a safe bet that government expenditure estimates will be greatly exceeded, and [this] rising debt will cause the price of gold to rise to $10,000…over the next five years. (Let me explain further.] Words: 1767. This new video by www.bmgbullion.com and www.FutureMoneyTrends.com identifies and discusses: 3 mid-term trends that will drive the fiat price of gold to heights western economists can not even imagine and 3 irreversible trends that will result in further currency devaluation and major drivers in the price escalation of gold. America’s massive debt and unfunded liabilities make inflation the only viable option for today’s policymakers because when the value of future dollars is diminished, future obligations in those depreciated dollars are diminished. To fully understand gold’s role in an investment portfolio, we need to adopt a new mindset, a gold mindset which is, simply put: gold is not a bad investment, and gold is not a good investment. Gold is not an investment at all – gold is money. Next Latest CPI Data Shows Inflation at 1.66% vs. ShadowStats' 9.26% – Which is More Accurate?